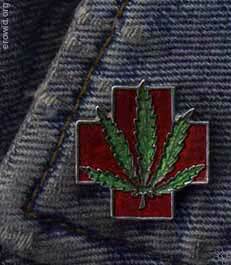 Marijuana has many possible medical uses. Positive effects are claimed for ailments such as cancer, AIDS, and glaucoma. AIDS can cause a loss of appetite known as "wasting syndrome", which can lead to drastic weight loss and weakness. Chemotherapy used in the treatment of cancer causes nausea resulting in an inability to keep down food. Marijuana's healing nature for these two illnesses is a result of its ability to increase a person's appetite as well as relieving nausea, allowing a patient to regain weight. Marijuana reportedly helps glaucoma patients by reducing intraocular pressure that can cause damage to the eye. See also here, and Decision Text.